Newest addition to Jacques quality professional effect pedals, The BÊTE NOIRE © is the perfect match of natural distortion and analog phasing modulation. 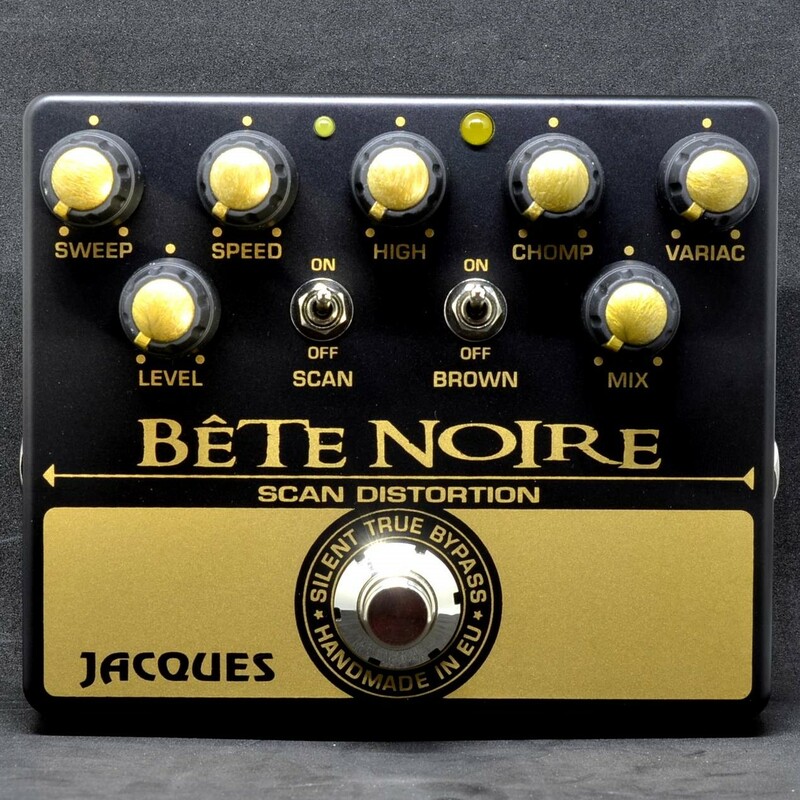 Designed to combine in the best way modulation and distortion, the BÊTE NOIRE © recreates plexi tube amp natural distortion with a complete array of controls, and features an inboard vintage analog Phasing effect ideally mixable or used separately. A newly engineered circuit tailors The BÊTE NOIRE © amp-like distortion, giving phasing modulation perfect room size to breathe. 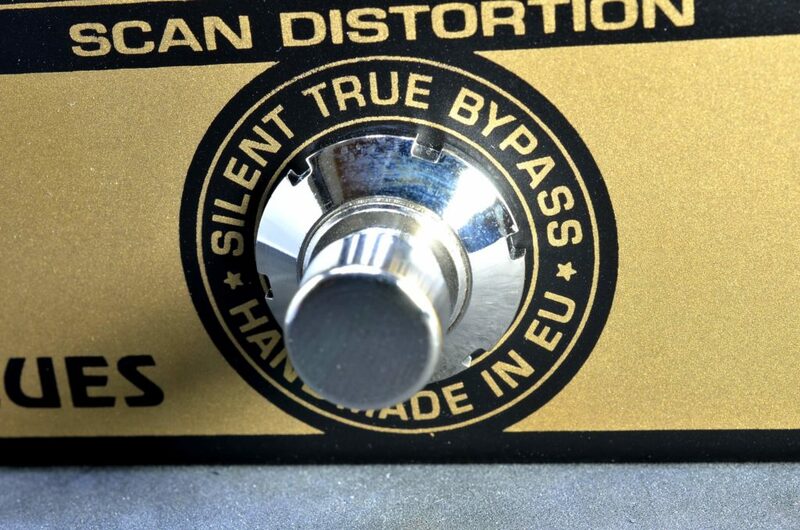 Arguably, the best distortion tone ever achieved for an electric guitar is a cranked-up plexi Marshall amp. The magic that occurs when all UK Mullard EL34 tubes and Partridge transformers go into distortion realm is hard to replicate, even for Marshall themselves. Being a vintage amp collector, I have carefully listen to these marvelous amps, from original JTM45 to its majesty plexi JMP 100w for all details and responses to guitar playing, leading me to the BETE NOIRE circuit which, to my point of earing, nails this tone and most importantly, mimes the response to your playing an original plexi will have. 2-BROWN : Still , most high gain tones need more EQ smoothing to reproduce the famous organic feel of a raging yet controled vintage plexi amp. The BROWN switch was painstakingly taylored to obtain the whole subtleties of this legendary sound. 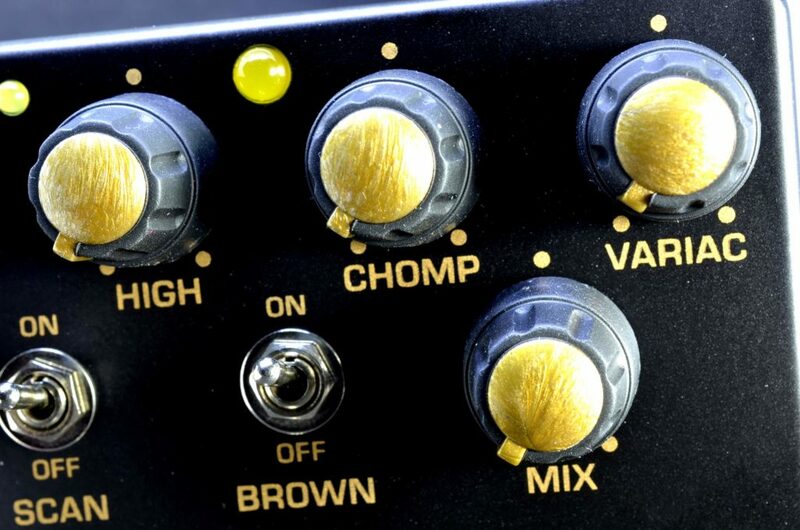 3-CHOMP : Part of this legendary tone is of course the original 1960 cabinet with greenback Celestion speakers. 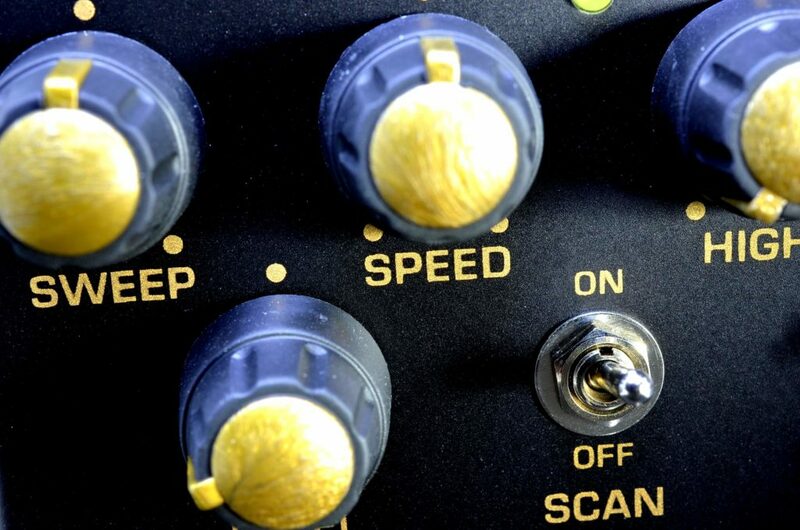 Therefore the bass managing was a constant research for this pedal, leading us to this built-from-scratch tone control which allows a perfect tuning of the low band frequencies. There again , my nasty collector’s habits served my purpose. As one of my fave effects since the ’70s, I have collected and played every single vintage phase effects of the classic era. 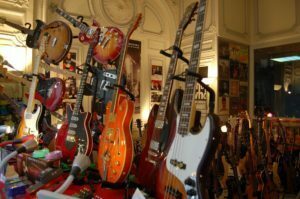 But not all these mesmerizing units would complement well a plexi distortion. The best marriage advice was a battered script logo MXR phase 90 so we built our phasing circuit around this tone, beautiful when used alone and perfectly matching our plexi distortion. 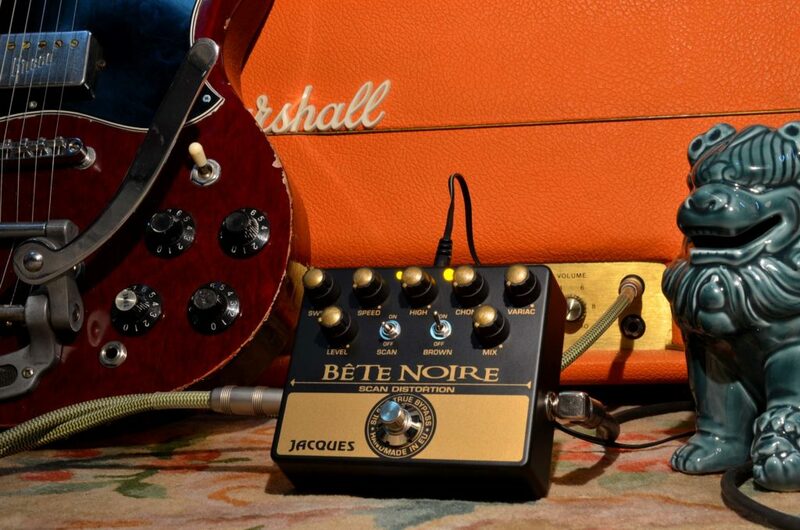 Of course the BETE NOIRE features our acclaimed silent true bypass switching system based of Hall effect , in order to get the best of both stombox systems. 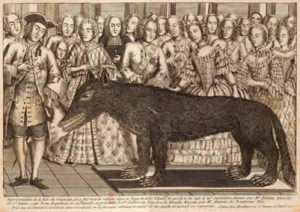 In 1765, King Louis XV sent two professional wolf-hunters, Jean Charles Marc Antoine Vaumesle d’Enneval and his son Jean-François as well as First captain Duhamel of the Clermont-Ferrand Dragoons and his troops in Le Gévaudan to catch or kill a calf-size beast with monster teeth and tail that alledgedly committed 210 attacks on human beings, killing 113 and injuring 98, most of them with their throats torn out. On September 20th, 1765, Antoine eventually killed a large wolf identified as the culprit by attack survivors who recognised the scars on its body. The animal was stuffed and sent to Versailles but it did not stop the attacks. In 1767, a local huntsman, Jean Chastel, shot another beast with a large caliber bullet and chevrotines combination, self-made with silver and eventually marked the end of the attacks. Of this scary beast story we kept the expression “Bête Noire” and even exported it.